Food when camping can be a big part of your camping experience. Your whole day may revolve around what the next meal will be. We discussed how you prepare for for camping meals - what you need to take, and how to pack it - at great length in our story "Camping Food for Beginners". If you are new to camping and concerned how you will get all your food to a campsite, and how to pack food, then that story is a must-read. The basics mentioned in that story will be the groundwork for many a camping trip. Get your packing and planning right, and food becomes not so tricky. Worried about space and how you are going to get all that food to the campsite in your car? Then camping food for beginners will give you tips. Now you have read up on how to pack your car for camping in regards to food, what food will you take? Those who camp regularly have their favourite meals and have worked out what is the best meals for them, and know how to prepare them. When you are new to camping, preparing a 3 course meal might be a bit too much like hard work. We are listing some key foods to help make your early camping adventures easier. If you think you can handle gourmet feasts - then do it! The recipe ideas in this story may be a bit basic for you. ​If you are a bit unsure about this whole camping thing and how you are going to feed yourself and others, then read on. When planning your food on your camping trip, think about your cooking method. Are you bringing a campstove? One burner or two? Using an established camp kitchen? If your meal plan involves any of the above cooking devices, then make sure you have access to that way of cooking, are allowed to use it (ie. campfires aren't always allowed), know how to use it, and want to use it. So the big tip here is - know your cooking method first, and then plan meals accordingly. There's no point planning a camp oven meal, if you can't have a campfire. Or wanting a BBQ, but can't fit your own BBQ in the car (and praying that the one listed at the campsite actually works!!). ​So for the rest of this story, we are going to make the assumption that you have sorted out the cooking method for your trip. The most important meal of the day right? Also the meal that can be elaborate or easy. The choice is yours when camping. It's also a good meal to try more adventurous cooking because you don't have to worry about it getting dark, you have plenty of time to prepare and clean up, and if it all goes awry, there's always lunch not that far away. We tend to like to keep it simple in the morning, and especially on a day when we are packing up. 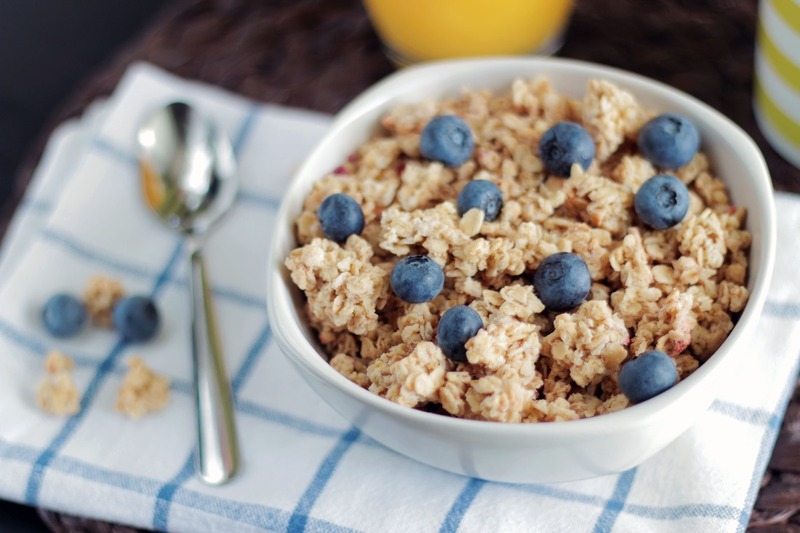 Here are some suggestions on what to have as a breakfast meal. 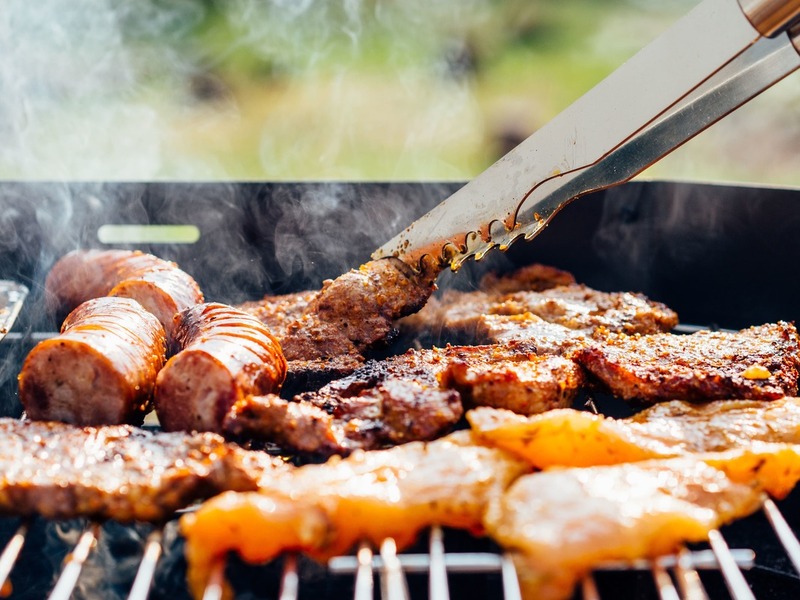 Your cooking method will help determined which of these ideas you can replicate at the campsite. In the above 15 easy camping breakfasts, look at the recipes - Omelette in a Bag and Eggs in Jail - all easy, and all achievable by beginners. Lunch for us when camping is always something quick, and fuss free. It's because if we have cooked a bigger breakfast, that's sort of keeping us going at lunch time, and I am not really in the mood to set up and create another big meal. But if breakfast was a bit dull and boring, now could be the time to get a bit more adventurous and cook!!! Sandwiches - made from whatever bread you have brought from home. Space saving bread would be tortillas and any bread that doesn't go stale quickly. The fillings can be whatever you like, but some suggestions are Vegimite, Peanut Butter, Hummus, Tuna or salmon in prepackaged sachets, cheeses, vegetables, pre-washed salads. Lunch and dinner options can be remarkably similar, but if you are wanting something fast, and do want to cook, then here are few easy suggestions. Canned and packet soups (add croutons to make it yummier) or bulk it out with sandwiches as well. Nachos (heat up the meat you made at home and add over corn chips. Add some sour cream and premade guacamole). See easy Nachos recipe here. See below for meals on a stick - if you have a campfire at lunch, this list contains some options such as hotdogs to have for lunch or dinner. This tends to be our most complicated meal and generally follow up with a dessert (more on that later). But we want to keep it simple for beginners. 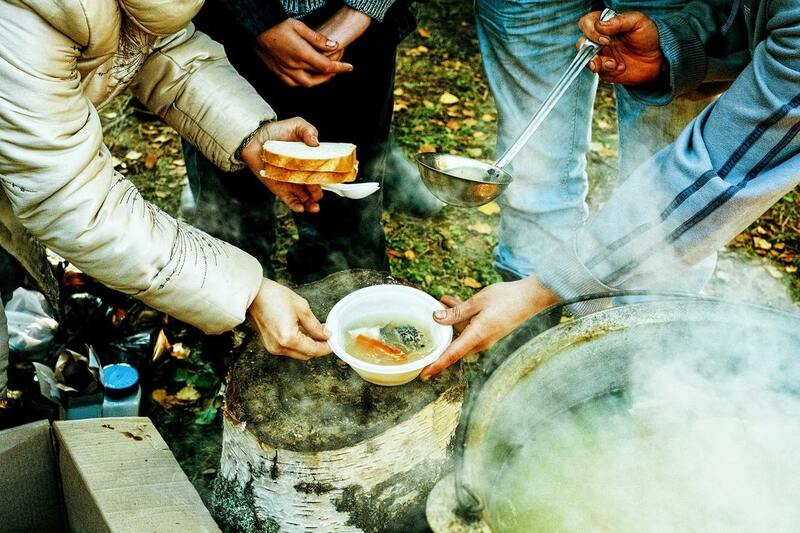 These are basic camping meals to get you started. ​We have listed ideas that you can plan ahead for and replicate without a lot of fuss but cooking/heating is required for these. You may have brought from home an already-made dinner that just needs reheating - so that's always something to think about....but if not, here are more ideas. So first up, read Foil Pack Cooking for Beginners - this includes lots of recipes you can have for dinner (all, are requiring cooking naturally). These recipes range from simple to more complicated. It's great if you have a campfire to use for many of these, but it's not mandatory. Secondly, for dinner - jaffles. The classic way to cook these jaffles is on a campfire, and we put together a list of jaffle recipes for you try. The oldie but a goodie recipe is spaghetti bolognese meat in a jaffle or ham and cheese. Read our 10 gourmet recipes here. Campfire is the way to go for these. Try Sloppy Joes - you can either make the bulk of this at home, or do at campsite. It's easy and filling. This is also a good lunch recipe. Sloppy Joes Recipe is here. All you need is stove if you are doing the reheating option. If you have a campfire, put your meal on a stick. We list some recipes here are easy to replicate and don't have a lot of ingredients. You can see the recipes here - from savoury to sweet. Simple and not a lot of skill needed but the taste is worth it! BBQ (same as lunch) - easy and no dramas in replicating something you would make at home. Whatever you would serve at home on a BBQ you can have camping on the BBQ. Pasta and sauce. Boil up the pasta, and toss through a pasta sauce, and sprinkle some cheese on top. You can add whatever you like to the sauce. eg. canned fish or sauteed vegetables if you wish. Very simple and a great standby to have in your camping box. Rice and Cous Cous dishes. Cooking either of these grains, and then adding sauces or additional items to it to bulk them up. Serve up Chilli Con Carne with rice. Rice needs longer cooking time than cous cous, so if fuel is an issue think about that. No cook recipes include salads, cold meats, sandwiches and wraps - its sort of like your lunch options when you choose the no-cook option. We have brought to a campsite for a meal on a hot night, salads made at home and sushi. Desserts are certainly always appreciated in my family. The pancakes and French Toast we mentioned in the Breakfast section, work equally well as a dessert after your evening meal. So you can make up extra in the morning, and have it again that evening. If you had jaffles for dinner, then think about them for dessert. The dessert jaffles are some of our fave desserts to try. We have shown you many more elaborate dessert ideas here in our 23 Camping Desserts - you will find some easy recipes in here that beginners should have no trouble mastering. Check that list out for loads of ideas and choose one of the easier ones. You can always work yourself up to the fancier dessert options. ​Try - campfire cones and tortilla roll ups. Both need simple ingredients that won't need to be kept cool. Don't forget the classic of bananas stuffed with marshmallow and chocolate, heated in the coals. Always a winner. If you are new to camping, your food menu can be as elaborate or as simple as you feel comfortable with. Don't make it harder than it needs to be when you are new or you might never want to do it again. Think about your meals. Write down each meal and what you need to take for it. Use the above suggestions if you are short on ideas on what to take. Assess if you think you want to make that meal, and you have the means to cook it before heading to the shops. 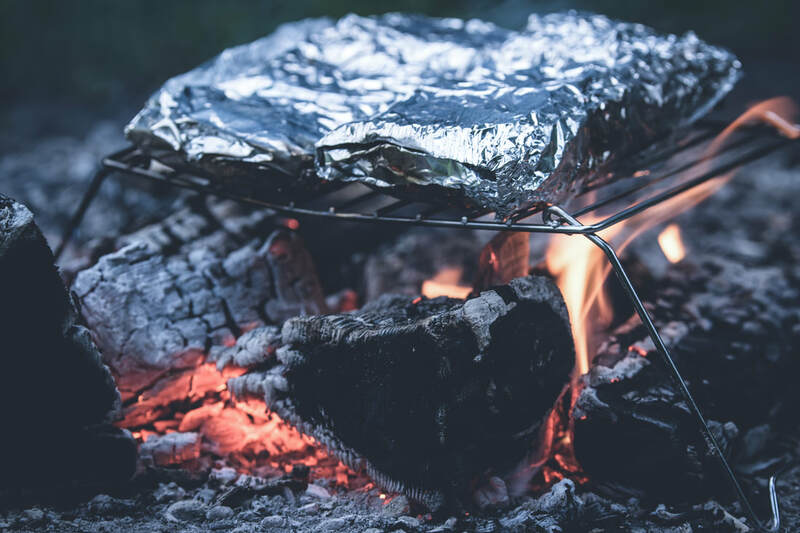 Read the story on camping food for beginners which will give you tips on how to plan further for packing, storage, minimising the amount of food and gear you need to take for meals.